About two out of three American adults have back pain, but most just put up with it without seeking treatment. 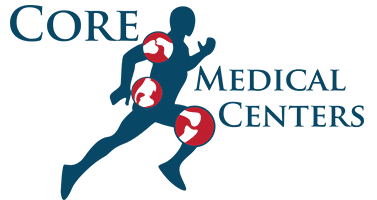 There are ways to effectively treat lower back pain, and booking an appointment with Dr. Casey Walker and the team at Core Medical Centers in Lowell, Indiana, is a first step toward living a pain-free life. Call or click to set up your consultation. The spine is a complex structure, and there are many causes of lower back pain. Strain and overuse are common problems, and more serious issues that lead to chronic pain occur as well. The first step to effective treatment is an understanding of what is causing your pain. It’s entirely possible that your pain will be classified as “nonspecific” and no primary cause can be identified. As bad as that seems, it’s good news: nonspecific lower back pain is considered acute, meaning it doesn’t usually last more than a week or two. In up to 10% of cases, lower back pain becomes chronic and lasts more than three months. Degenerative disc disease can lead to a ruptured or herniated disc and long-term pain. Osteoporosis, canal stenosis, and a few other serious conditions often lead to chronic lower back pain, too. The best treatment depends in large part on the cause of your pain. Physical therapy, decompression therapy, and massage all play a role in treating lower back pain. Slowly strengthening and increasing the flexibility of muscles and tendons that support your spine can both improve your current pain and help prevent future pain. A 2017 study found that when patients have direct access to physical therapy, overall medical costs decline. Nonsurgical decompression therapy is a type of traction that stretches the spine. The goal is to relieve pressure on the discs. Particularly useful for pain resulting from overuse, massage is often an effective way to deal with lower back pain. At the end of a 10-week study that compared usual care with massage for lower back pain, between 36-39% of participants in the massage group reported their pain as nearly or completely gone. Is chiropractic adjustment effective for treating lower back pain? Chiropractic adjustments, sometimes referred to as spinal manipulation, can be an effective treatment for some types of lower back pain. Dr. Walker and the team evaluate your situation and determine whether or not chiropractic adjustments are appropriate. A meta-analysis of 26 studies published in JAMA in 2017 found that chiropractic adjustments led to improvements in pain and function with little risk of harm. A thorough evaluation by an experienced practitioner is the best way to determine whether or not spinal manipulation is the best treatment for your pain.